Middleton Ranch is located one hour form Downtown Los Angeles. Their standing sets include a 1940’s service station, roadside diner, convenience store, modern gas station awning, vintage junkyard and a beautiful vista point. They’re the perfect location for your production, photo shoot or private event! 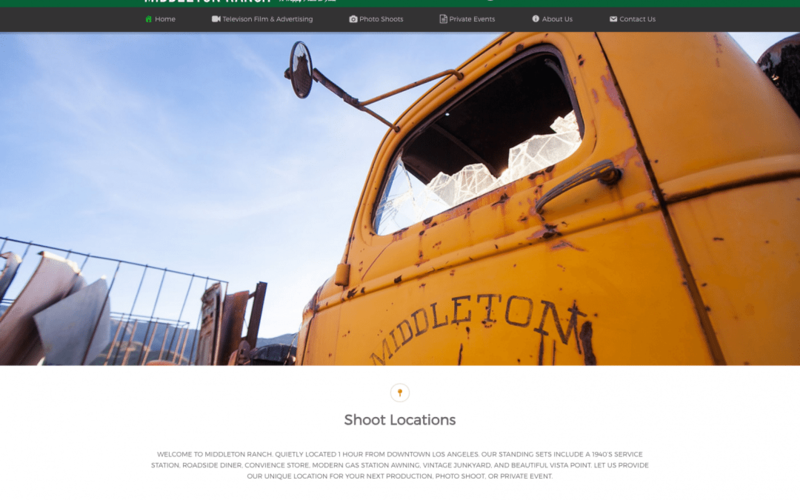 Completely redesigned website to meet the client’s specifications, including a way to show each of the sets from a different angle (production, private events and photo shoots).